Today we had our first "competition". 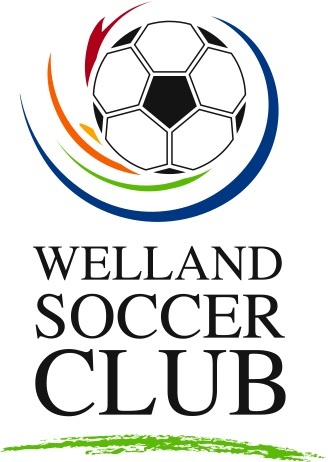 The West Niagara Invitational Soccer Tournament is held during the pre-season every year. It's hosted by the Lincoln Soccer Club, but is held all over Niagara. They do a great job! We won our first game 2-0 and lost our next two games 3-0 each. In both 3-0 losses, our boys were playing well but allowed themselves to stop pressuring and challenging for short periods of time. The last two teams were stronger than us. It was a great example of how you CAN play with them if you get in their face on every pass and how you get flattened when you stop running. We were playing with only two reserves all day long (illness, vacations, etc) and that helped everybody play a lot. Every player on our team had some personal success moments and we saw an improvement in one aspect or another of each boy. Our heading was the most notable team improvement and changed our overall effectiveness in a game. We had many good examples of 2/3/4 players pressuring an area and winning the ball. Our goalkeeper was struggling to hit the ball in recent weeks but today he had a great day. We held our shape fairly well. We play an attacking 4-3-3 and we still have to master where our holding midfielder should be at all times. When he gets lost it puts extra pressure on our central defenders. This will improve with more practice. Our passing was hot and cold. But continues to get warmer with each game. Our main weakness is still getting to the ball first and the strength of our tackling. That is something we will continue working on. There are some other weaknesses or course, this this is the most glaring. Our focus at training this week will be winning the ball in a 1v1 and getting to the ball first. The boys demonstrated today that, for Coach Paul and me, the program has been time well spent. Tonight we played our second friendly. The quantitative result was 2-0 in our favour. The team we played are much improved over last season and we are very appreciative of them inviting us to work together with them. Our 2 goals were very sweet soccer goals. Both sequences were started as a switch in the play by our holding midfielder at the time. They saw it works... great. We were quicker getting out and coming back, keeping our shape compact up/down the field. Not getting to the ball first. Almost every time. These are the coaches' problems to fix and our sessions will focus around them. This Saturday we have our first tournament. I wouldn't say we are 100% ready to play but I would say we want to play, which is good. Tonight I had a to-do list for the boys and they did it for the most part. I will work with Coach Paul to put together wish lists for each game Saturday. I always say I don't like playing two matches in a row because there are things to fix. Last night Toronto FC held a Youth Soccer Night before their ACC game vs Montreal Impact. The schedule was some finger foods and drinks at Gossip Restaurant, guest speakers were to be Paul Mariner (Player Development Director) and Thomas Rongen (TFC Academy Director). After the festivities everybody was to head over to BMO Field to watch the game. There were some familiar faces in the restaurant and it was nice to catch up with some old friends. I was hoping the two speakers would leave us with some technical/tactical/organizational thoughts to digest. Paul Mariner's words were of a salutory natue and Thomas Rongen ended up not being able to make it. So from that viewpoint, it was disappointing. He did make it late and was around chatting up the room. We did have a good time with the people we met at our table and the friends we already knew. It's always fun to network and share information. My cousin Nino won a pair of tickets to TFC vs NY Red Bulls so that spiced up our evening. Even though the original schedule did not happen, I am still glad we attended the pre-game portion of the evening. Toronto FC were gracious hosts and they've proven to be good corporate citizens. The game was a lot of fun. The soccer was very decent and Toronto won so that made the crowd a more positive experience. Here is the game report. I still find a lot of MLS players seem to play with their heads down and keep running into guys or trying to pass/cross balls "through" defenders, hitting their shins, etc. The top players are nice to watch and slowly the league continues to get better and better. The win was good for TFC, as they are 0-8 in league play so far. On Tuesday our plan was to do technical work, some work on organization for restarts, a short phase of play then some fun competition. Mother nature ruined the plan but the boys rescued the 2 hour session. Upon arrival the field was wet and some sections unplayable. I guess it rained a lot more than we thought. I don't like to turn away from field conditions if there are playable sections because the boys have to deal with that in games. Rearranging the plan was not a big deal, although our options were limited. But the boys were very enthusiastic and kept moving for the full 2 hours. It was nice to see and very motivating for coaches. Had they said "screw it" we would not have had any success tonight. We started with a 5 minute run where the last player continually runs to the front of the line. Then we did 6 field length "rugby" runs. See where the defenders are and put the ball where they "ain't", now! They were making proper adjustments to the field conditions. If the field was any wetter or soggy, it would have eliminated some players from being able to overcome that from a strength point of view. We then had them play 8v8 across a playable slice of the field. No keepers, lots of space, each end had a goal in each corner and the team could score in either goal at the other end. We set the shape of 3-3-2 and played with offsides. At first we just let them play. As the game progressed we adjusted the shape more and more and minimized the stoppages for coaching. After a short break we set them up again, made a few suggestions and set them off again. We wanted to see the wide mids move the ball back to the defenders when they were in trouble and encouraging the defenders to look forward first. We have a few defenders who just dish the ball off laterally to another defender. The game them progressed that it went up to three and the losers did 10 pushups. We finished by letting the players hit some balls on goal from outside the penalty area. Inside the penalty area, from 6-10 yards our, was under water. The boys did enjoy themselves, and they seemed to like being wet and muddy. There was definite improvement with our defenders looking to play the ball forward as their preferred option. We moved to players forward from last year and both are starting to look to combine with other players to get the balls behind the defenders. The boys were able to get in some soccer in a wet field (don't underestimate how valuable that is). In a perfect world I would have gone to the field during the day to scope it out and make a new plan. I didn't realize it had rained that much and I didn't know how this field handles water. Our next session is an 11v11 setup with another team on Thursday. Then we have a tournament on the weekend. At their Annual Conference, the OSA had several presentations on where LTPD is leading the competition and elite player development structure. These are bold and exciting times for Ontario and Canadian soccer. I imagine there will be growing pains, as there are with any program shifts. Click here to see what the OSA has on their website. Our U13 boys had their first session on grass tonight. The field was far from perfect, but we were outside, and it was grass. When I say I goofed, I felt bad because the boys had worked hard, listened and I didn't leave time at the end for competition. The boys deserve competition and it's bad coaching to not do that. Bad me. I would kick my own rear-end, but I have a sore knee. Or else I would. The number one question when you self-assess is "Did the players enjoy the session?" Not having competition will affect that answer. Tonight we touched on a lot of things that Coach Paul and I want to fix, but the plan aimed towards working the ball to the winger in our 4-3-3 and across into the box. The lessons had to aim in one direction. We started with a 5 minute run immediately followed by 6 field length runs. We divided the field into thirds. You walk the first third, then jog the second and sprint the third. My friend who coaches rugby gave me that one. Coach Paul took our keeper aside to strike some balls from his hands and off the ground. He struggled with that a bit last game and we thought we would give him a chance to do it uncontested to regain some confidence. His big brother comes to our sessions to help and was helpful to coach Paul. One our end, we started with 7v3 keep-away. Very little coaching, just whooping it up having some fun. I did remind them of receiving the ball first touch away from pressure. My main goal was getting used to the grass again. It was wet, not very short and a little bumpy. We then addressed three things that Paul and I agreed that we need work on. Driving the ball with the laces, heading and crosses. The main weakness with our boys is their bodies seem to come undone at the moment of contact with the ball, with the foot and head. There was some improvement, but still an area for more work. For heading we did a basic heading sequence, straight on and heading a ball coming from the side. On this we saw the most improvement tonight. Some of the boys were relishing their new found abilities with their heads. For crossing we worked on setting the ball and body up for the cross. Once we sorted that out the quality of the crosses improved. Play the ball out of air. This is an area where we will have to drive the boys for improvement, but be patient as it's a new facet to the game. Heading the ball makes exciting things happen, but it's a big step in becoming a dangerous player in the air. We'll get there. We ended the session with a lesson on what can happen between the right defender, attacking midfielder, right wing and striker. We reviewed different combinations that can happen to get the ball behind the defenders and crossed into the box. The plan was to get to that point.. I am disappointed that I let it get to the point where practice ended and the kids did not get a chance to compete. I hope to avoid that in the future with better planning and a closer eye on my watch. Our U17 boys were on the turf this morning, sharing it with the u16 boys from our club. It was supposed to be an 11v11 friendly, helping both teams get organized. Still waiting for their team to assemble, we moved the one net to half and lined a small field the width of the penalty area. So the field is now 50x44. We were playing 10v10 so the space was tight. There was very little coaching here. I wanted them to figure out if they want to be successful the ball has to keep moving, quickly, early and accurately. They seemed to enjoy this game as well, and some were figuring out the recipe for success. Other than guiding a few guys into position, I left them alone. I played with them and was having fun trying to keep up. "Trying" is the big word here. When we broke into our 11v11 setup, we had the boys in 4-4-2. Most are familiar with the various roles. I just walked the field with my whistle to blow down crazy fouls, but spent most of my time massaging the shape into place. The kick-around never got out of hand and nobody suffered any needless injuries. It's good to work with this team because these boys are the ones called when the u17 are short players. Again, our original plan was displaced. This time because we wanted to include the U16s and keep them busy. We had planned to organize our boys into their positions via a short phase-of-play setup. They all play 4-4-2 in high school, but it's still necessary to set up with your players. That's something we can address the next session. The high school soccer is a blessing in that the boys are able to enhance their school experience and stay active. It's also a curse in terms of getting your own team organized. If Coach Benny's work in the past prepared the boys to be successful at the high school level, then that part of his duty to the players was well done. A nice observation for me is this team's trust in their goalkeeper. He's a hard working young man with good hands and smart distribution.